Our workshops are a great way to educate people from all ages about movement and coordination. 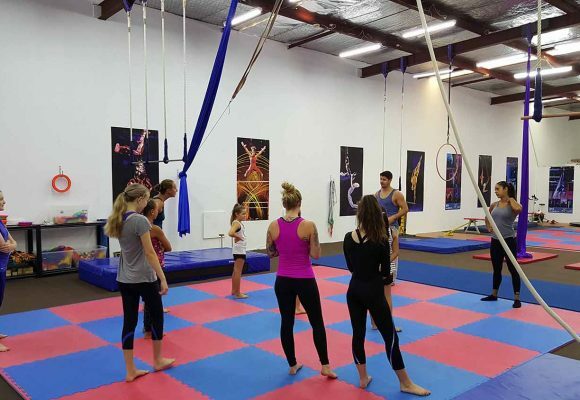 In these workshops we teach people from all backgrounds to develop motor and team work skills, strength, flexibility and endurance, whilst having a great time. 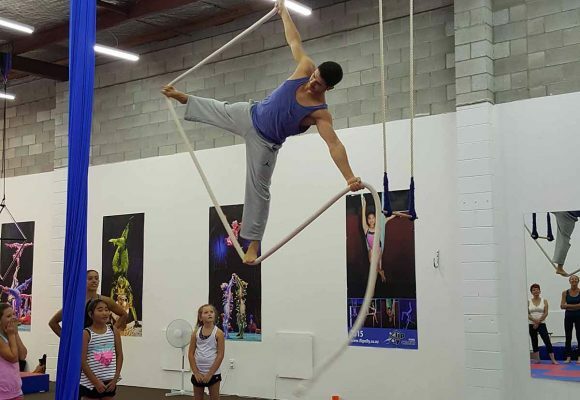 These workshop opportunities are offered in collaboration with visiting international circus artis. 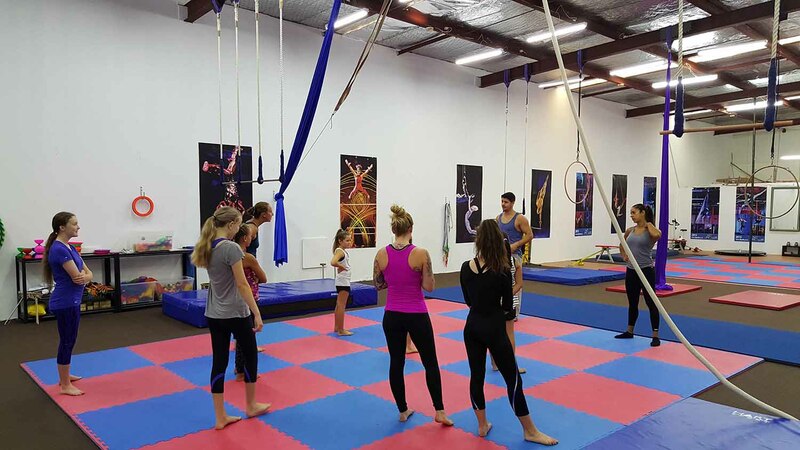 In 2016 and 2017 we had the privilege of hosting Silks, Straps, Contortion, Handstands and Lyra workshops with Professional Cirque du Soleil artists from Quidam and Toruk. To know more about the workshop opportunities we offer and book, please contact us.